Glorious contrast inspired by a treasured object. Publication designer Anastasia Genkina followed her heart to NZ. Russian born and educated she was excited to get design experience in an English-speaking environment, and she arrived in 2014 to reunite with her then partner a veterinarian she had meet on travels in Europe. While here in New Zealand Anastasia lived in Hamilton working freelance on projects, for mostly for Moscow based clients. But during that time she also collaborated with Studio Brogen Averill in Auckland, which she credits with an opportunity to work in an intelligent and beautiful visual environment. The Australasian Ganet is a large slender-bodied seabird with mainly white plumage, buff-yellow head and neck, a wedge-shaped bluish-grey bill and blue skin around the eyes. The trailing edges of the long (1.8m wingspan) pointed wings and a varying proportion of the central tail feathers are black. During her two years in New Zealand Anastasia explored as much of the country as possible covering the north island and getting as far south as Christchurch. She was not doing any specific bird watching, but with her partners animal interest, they spoke a lot about the ways the birds and native forest were being protected, at home over the dinner table. She quickly realised the importance of our national endemic wildlife in New Zealand. And how these species inform our ‘kiwi’ identity. After leaving New Zealand in 2016. Anastasia realised what a significant impact her time here in NZ had on her. The most spectacular scene she encountered was the Muriwai gannet colony near Piha beach, Anastasia notes "it was incredible. Wind, rocks, and beautiful birds — they have this almost neon gradation from yellow to white around the neck — landing and taking off. Very graphical!" 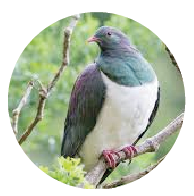 With a whoosh-whoosh, the Kererū, also known as the kūkū, kūkūpa, or wood pigeon, has swooped to glory for Bird of the Year 2018. Sixteen Birds of Aotearoa's inspiration was drawn from the bird of the year competition run by Forest and Bird association. (We New Zealander's take the voting very seriously. And in case you're interested the Kererū - or native wood pigeon - is the 2018 winner and I am fortunate to have a pair of these beauties feasting on fruit outside my studio window as I type this article!) Anastasia was struck by the competitions website and accompanying newsletter which were both vibrant with the birds beautiful colour combinations. It began a flurry of research from NZ and further afield. Anastasia immerssed herself in the avian world, learning about ways ornithologists record and visualise birds voices, for example. But her main interest was observing the beautiful colour combinations our native birds, Anastasia wanted to represent them: without any reference to their size, shapes or voices, celebrating their distinctive palettes in the form of a book. 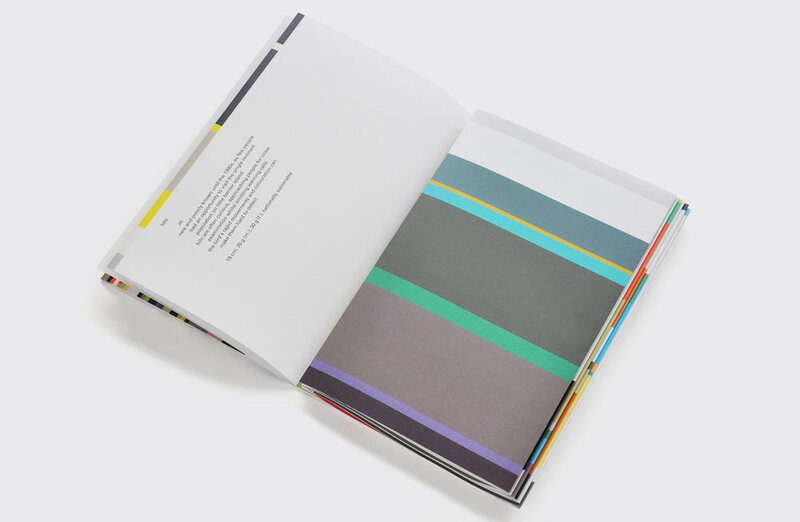 "The interesting challenge was to design a book-form that could hold the colour combinations, while providing a layer of information in itself. 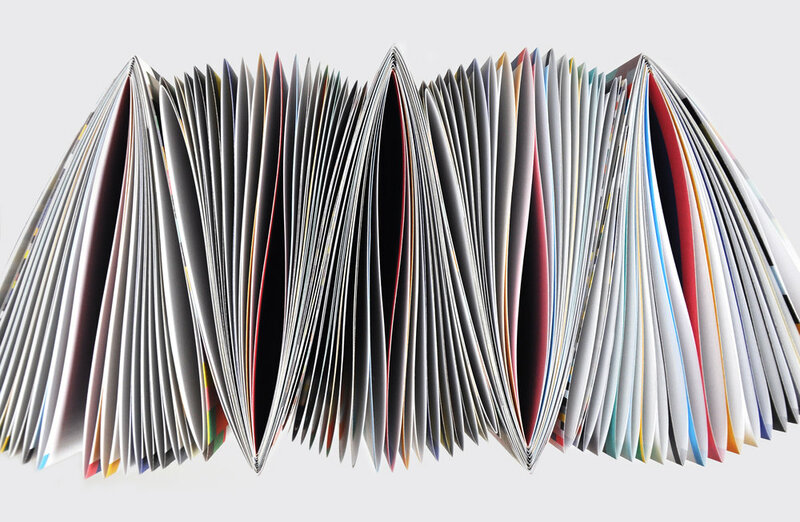 The mechanics of binding and folding are designed in response to the question — how can the book invent anew what was skipped in the process of reduction to solid colours. During this search, the colour combinations became as fragile as real birds: their minimal action would get easily overpowered by any heavy technique. This informed the design to be economical both in production and visual means to match the minimal intention of the story." 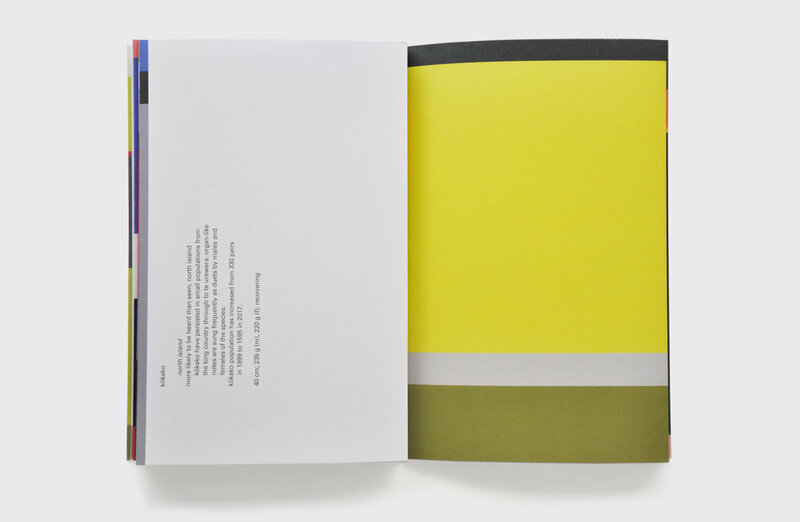 The book is unbound, which responds to two needs — Firstly, to use less, and to tell a story via the form. 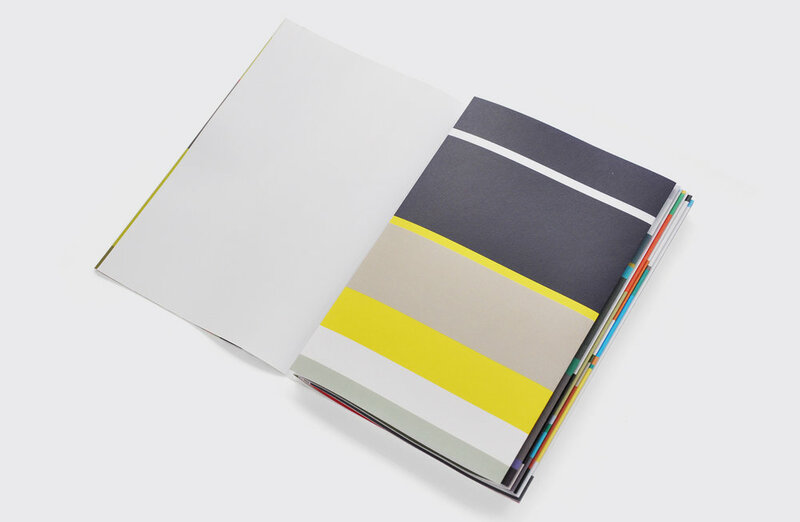 It takes a step back from the final action in traditional book production as if the book refuses its final state: nothing is final, the colours are not final, as they never are in nature. The french folding serves to build an elegant bow to the pages, which shapes the colour across the folios; the folding technique also produces a colourful fore-edge to the book and provides internal navigation for the text. I particularly like the movement the fold creates as it is reminiscent of the fluttering of wings. All the birds are endemic to New Zealand, and were chosen for their fascinating colour combinations, and for the potential rhythm, these would create in a book sequence. Naturally, there is no mathematical certainty in the amount or precision of the shades, rather the graphical impact of the combinations was the object of the documentation. Pushing CMYK process (the document is digitally printed on an HP indigo) to create an occasional iridescent effect led to experimenting with placement and contrast. 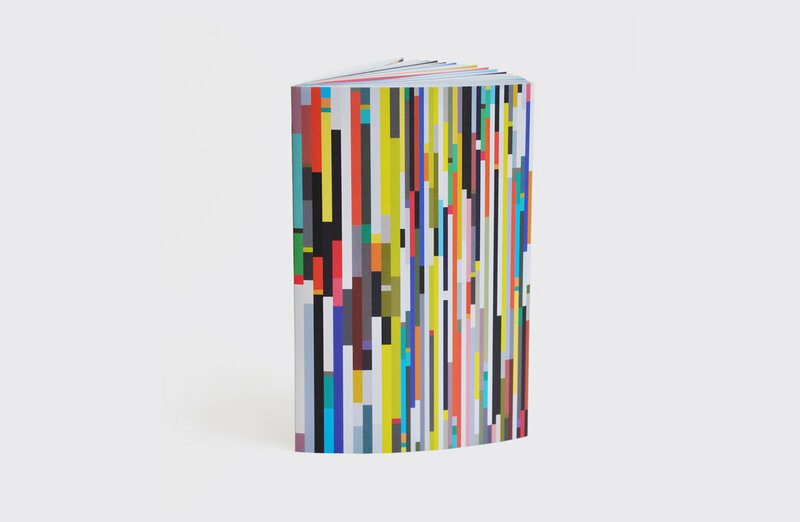 The first edition of 15 is available now - Please contact Anastasia directly if you would like to purchase one of these gorgeous books. 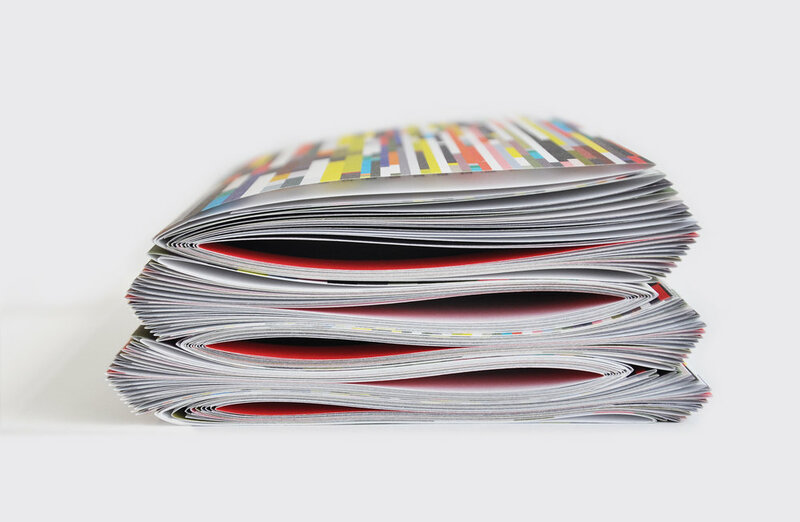 Or if you would like to commission her to design a publication for you. Currently, Anastasia is splitting her time between London and Moscow although is very keen to return to New Zealand one day. Newer:Elicit Script is something of a hybrid, evoking the warmth of brush lettering and hand-drawn forms, mixed with a more formal script style. Older:Glorious contrast inspired by a treasured object.